Thursday February 14th 10-4pm £60 Wendover This day is designed for anyone who has a desire to heal the parts of themselves that they have been out of touch with. 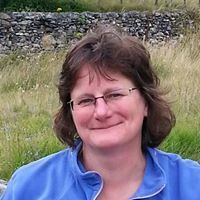 During this healing day Louise will bring through Metatron energies to support you in unifying your light with your shadow, your surface selves with your deep selves. The high frequency energy rays- colour, crystal, cosmic and karmic brought in through Metatron's light will begin to reveal the light in you that has been hidden by unconscious patterns, by conditioned beliefs and Limiting stories you have held in your cellular memory. It has always been there, your light, but by bringing Metatron's light and healing tools to release the pain and the sorrow of your wounds, what will also be revealed is the latent powers of your unacknowledged brilliance. Little by little, these energies will help you discover that you are so much more that you ever knew yourself to be. This has been my ongoing journey so I bring this to you from the experience of healing through my own pain and wounding. We are here to be all that we are meant to be but often, as I have found, we get in our own way with the beliefs that we are not good enough or simply not enough. This is not the truth. This day brings you back to your own heart and gently and lovingly invites you to soften into healing. This day is open to anyone ready to commit to their own healing, to recognise your worth and take action to heal into wholeness. The day will consist of healing meditations and lifting the story processes. 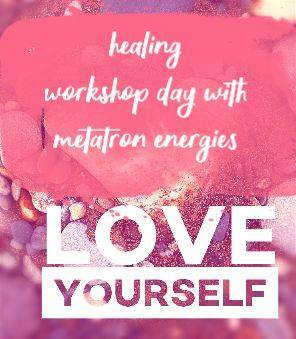 It will be a day of healing and self care and love with Metatron energies brought in through Louise If you are interested in joining this day then please contact me to express your interest, and I will offer you ways to pay in advance with your booking. Early Bird Deal-If booked before 14th January cost will be £55 (£5 saving) After that date it will be the full cost of £60. There are limited spaces so please book early. Thank you.